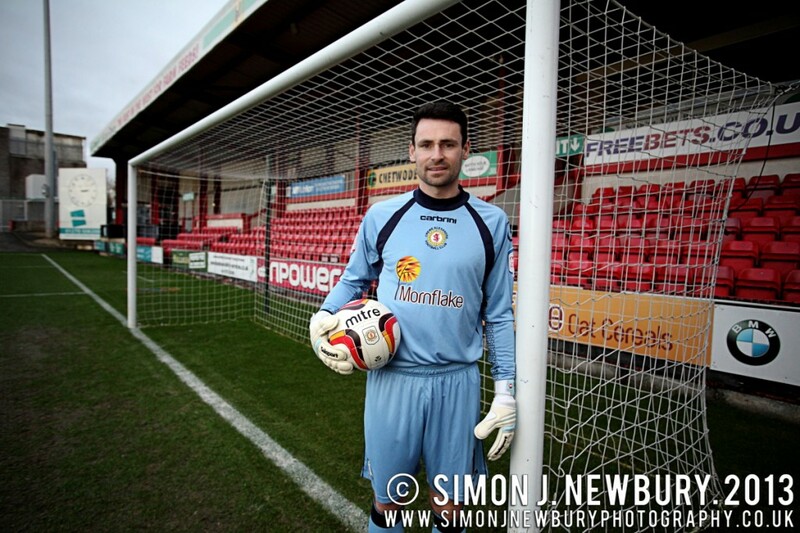 We recently had the pleasure of using the Alexandra Stadium as a backdrop for a photoshoot. Steve has been raising money for his two chosen charities Leukaemia Research and the Caudwell Children’s Charity. We offered to help out by donating a prize of an Urban Portrait shoot. 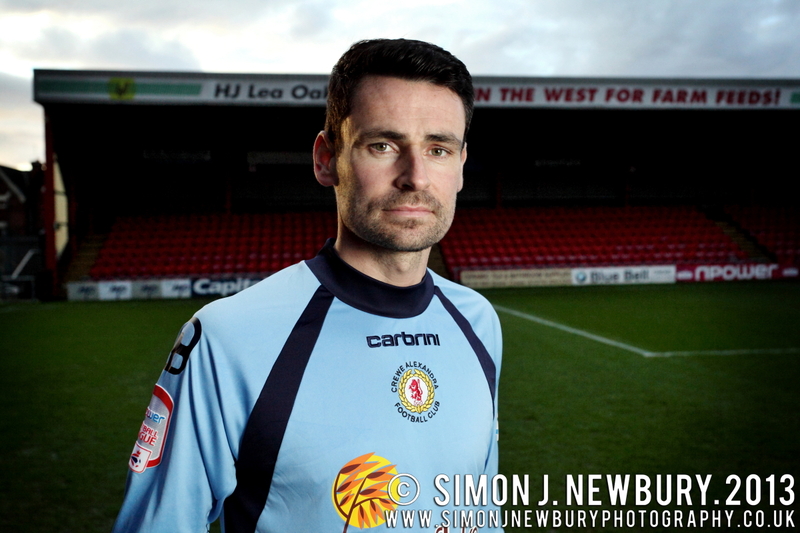 We also did a set of portraits of Steve on the pitch at The Alexandra Stadium. 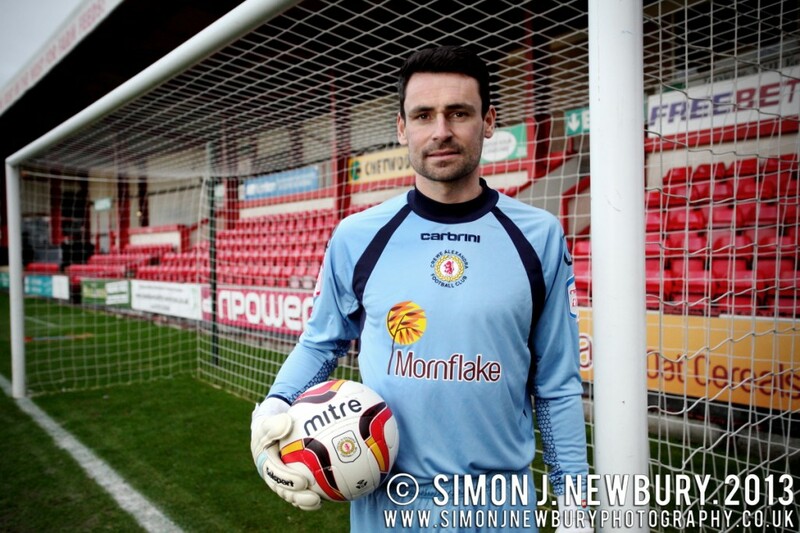 As official photographer to Nantwich Town we have previously worked with goalkeeper Jonny Brain and did a set of portraits for the club to use for promotional purposes in the goal at the Weaver Stadium. The portraits of Jonny are very striking and fit in well with the urban portrait series with the moody sky. 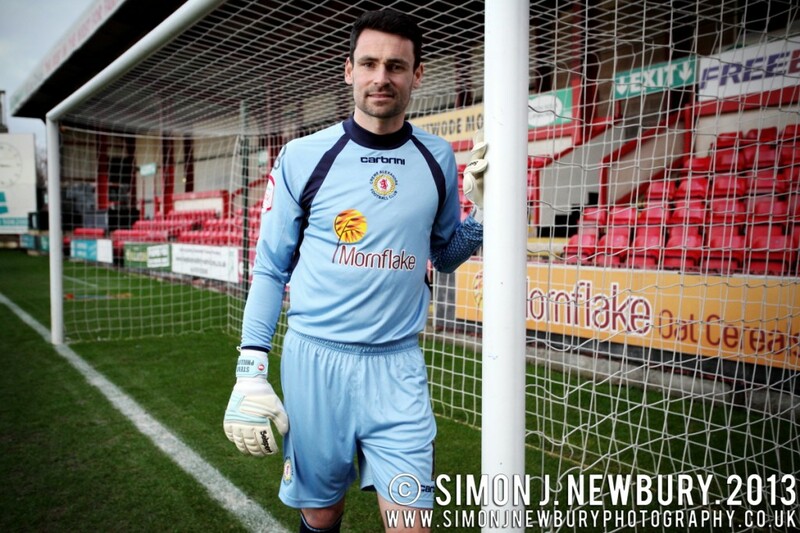 The Alexandra stadium is a superb backdrop and we certainly had good fun on the pitch! 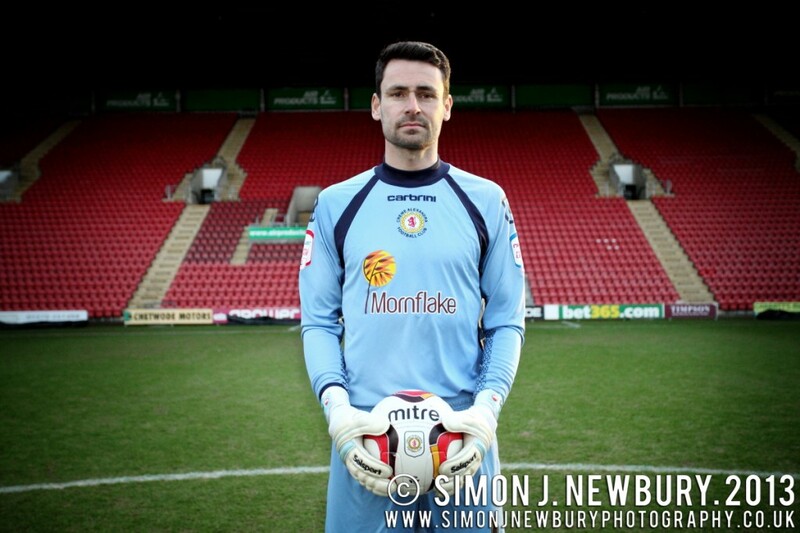 I had the pleasure of meeting Simon when we did a set of portrait photos on the pitch at Gresty Road (home of Crewe Alexandra) and also at a studio shoot I arranged with musician Tom Seals. Tom was publicising a music pledge with the money going to my charity. The publicity photos were top class and the pitch portraits are being used by my glove manufacturers in their latest publicity brochure. The quality of the photographs is very impressive!